If you are a returning customer, please proceed to the Customer Portal Login Page via the link above. Please select your classes below. Learn about Hold-Your-Spot (Re-Registration) here. - On the Website Calendar. -On the Important Dates & Holidays page. b) in the case of child participants; a parent/guardian must be a registered member of the Society. 2. Participation in the programs operated by GGC, also require each participant to be registered with Gymnastics BC (GBC) on an annual basis (Sept - Aug). Gymnastics BC is the governing body of gymnastics in BC; membership provides (among other things), important liability coverage for participants, coaches and clubs. More details on their services and your membership can be found on their website or through our office. 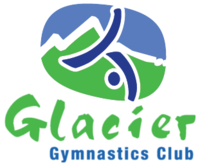 Registration with GBC is done through Glacier Gymnastics. The fee amount depends upon the GBC Membership category, which is determined by the type of program being participated in. These fees are NOT included in the list prices, and are due upon each participants first enrollment each season. Your statement will reflect these fees as ONE AMOUNT listed as "Annual Membership Fees". More detailed information is available on the website or via the office. Payment or method of payment is due at the time of registration. If you have not provided for method of payment , YOUR REGISTRATION IS INCOMPLETE. - It is your responsibility to contact the club and communicate how you will be providing payment. - If we do not hear from you by the end of the day your registration may be deleted. - Cash or Cheque payment can be made in person during regular business hours. - It is expected this will be completed within 2-3 days. - Payment via alternative funding (KidSport, A4K, etc) is welcomed, and is best arranged in advance. Participation in class is not permitted without payment arrangements in place. There are no refunds after the 2nd week of classes except for medical reasons and with a doctor's note. RE: Use of Premises and Equipment of the Glacier Gymnastics Club. I herby authorize my child's participation in this program. I know of no physical or mental problems, which may affect my child's ability to participate safely in this program. I am aware that gymnastics and trampoline activities by their nature, involve a certain element of risk, which involve potential for bodily injury. RE: Use of Premises and Equipment of GLACIER GYMNASTICS CLUB. I have read the guidelines and rules (see above) issued for the use of GLACIER's premises and equipment, which I understand, and I agree to be bound by them. I further agree to HOLD HARMLESS AND INDEMNIFY GLACIER and its agents from any and all actions, claims, demands, losses, judgements or costs of any nature to any third party resulting from my use of the premises and equipment herein and I agree not to make any claims or take any proceedings against any other person, society, corporation or other legal entity who might claim contribution or indemnity from GLACIER and/or its agents in respect of matters which are the subject of this Release. The collection, use, disclosure and security of your personal information (including digital media) are all regulated by law in British Columbia. Gymnastics BC (GBC) collects and uses personal information (names, birth dates, addresses) to provide you with the programs, services, products and information you require as a member of GBC. To enable GBC to manage and develop its operations from local to international levels, GBC may share your personal information with its members and Gymnastics Canada Gymnastique, and also with selected third parties who are acting on our behalf as our agents, suppliers or service providers. Glacier Gymnastics Club does not authorized GBC to share any personal information outside of necessary operations. Glacier Gymnastics Club may from time to time use digital media for the purposes of its website and program promotion. Common practice during regular programming is to seek permission ahead of time. More frequently, participants of Developmental and Competitive programs may have photos or video taken during special events throughout the season. It is your right to decline to have photos or video taken at any time, and Glacier Gymnastics Club will respect those rights. If you wish to ensure your child's likeness is not captured or published, we ask that you contact the office directly. If at any time you find pictures have been used that you wish to be removed, please contact the club at 352-2227.